Ory Okolloh (or Ory Okolloh Mwangi) is a Kenyan activist, lawyer, and blogger. Okolloh was born into a relatively poor family. She earned an undergraduate degree in Political Science from the University of Pittsburgh and graduated from Harvard Law School in 2005. Okolloh lives in Johannesburg, SouthAfrica with her husband and three children. Okolloh has a personal blog; Kenyan Pundit; which was featured on Global Voices Online. In 2006, she co-founded the parliamentary watchdog site Mzalendo. The site sought to increase government accountability by systematically recording bills, speeches, MPs, standing orders, etc. When Kenya was engulfed in violence following a disputed presidential election in 2007, Okolloh helped create Ushahidia website that collected and recorded eyewitness reports of violence using text messages and Google Maps. The technology has since been adapted for other purposes which include monitoring elections and tracking pharmaceutical availability. It is also used in a number of other countries. 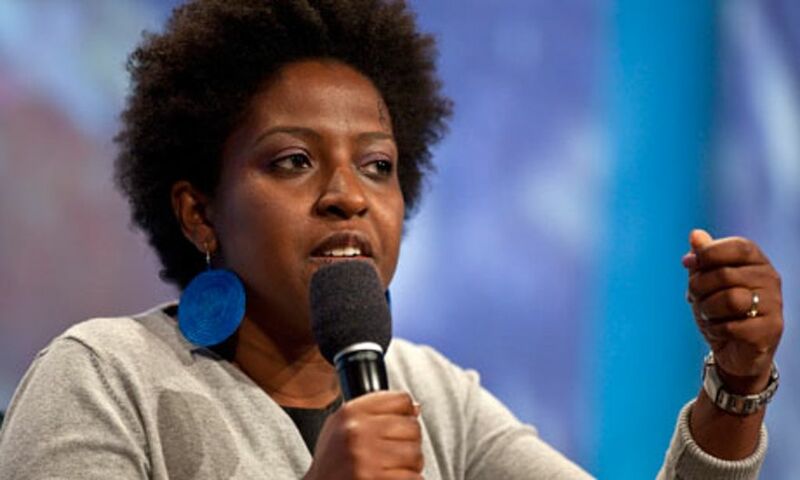 Ory Okolloh is a regular speaker on youth activism, technology in Africa and citizenship journalism. She has presented at numerous conferences such as TED, Mobile Web Africa and World Economic Forum. A respected figure within African and global technology circles, Okolloh is widely acknowledged as one of the most influential women in global technology. She was ranked in second place on ITNewsAfrica’s Most Influential Women in Science and Technology feature list and has been profiled by Forbes. She is Director of Investments at Omidyar Network. She was formerly the Policy Manager for Africa with Google and is strongly associated with the promotion of Internet access for African users. She encourages content creation and is vocal about the representation of women in ICT. Okolloh served as the Executive Director for Ushahidi until 2010 when she stepped out of the role to assume a new position as Google’s Policy Manager for Africa. She has worked as a legal consultant for NGOs and has worked at Covington and Burling , the Kenya National Commission on Human Rights and World Bank. Okolloh was appointed on the Board of Thomson Reuters Founders Share Company; the body that acts as a guardian of the Thomson Reuters Trust Principles in May 2015. In the face of all odds, Ory Okolloh with determination and focus rose to the top of her career in the technology industry. Ory’s work combining technology and politics reveals her fundamental belief in the power of technology ideas and the power of sharing knowledge. ⟵Stephanie Obi: an all round tech savvy!